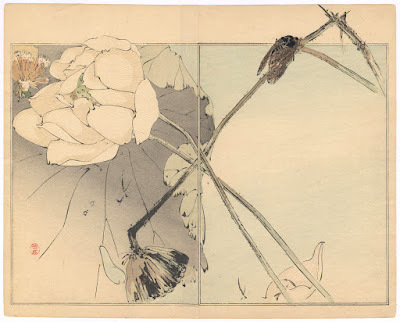 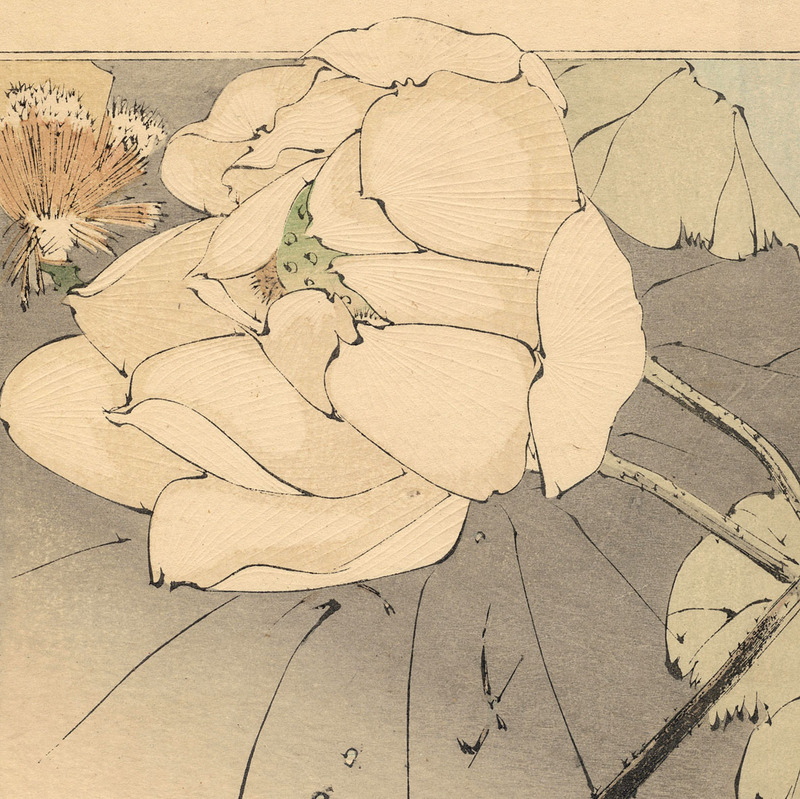 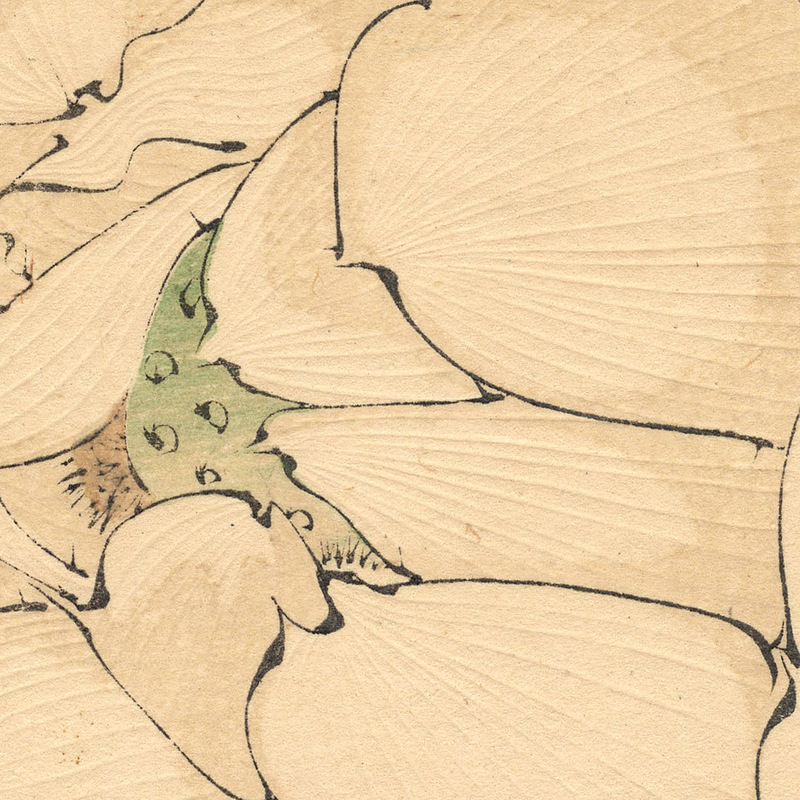 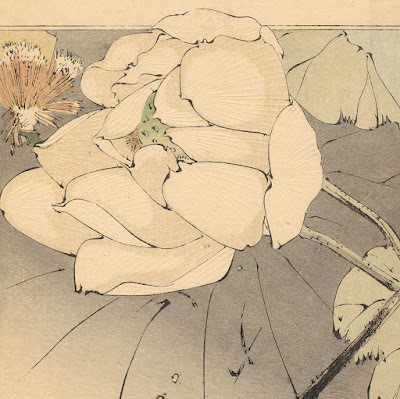 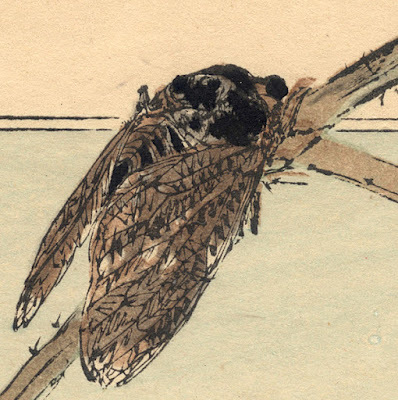 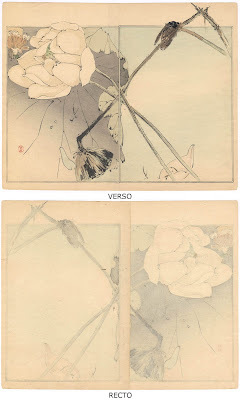 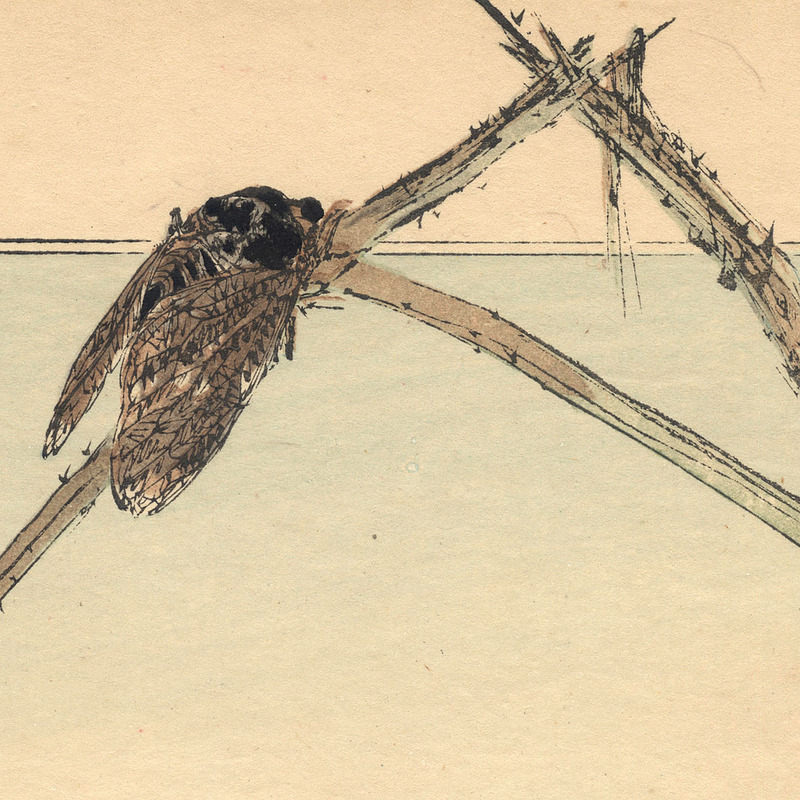 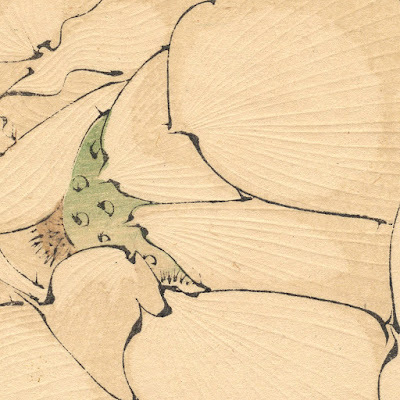 (upper image) “Cicada on Lotus,” 1890, from the series of 86 woodblock prints, “Seitei kacho gafu 省亭花鳥画譜 (Seitei's Bird-and-Flower Painting Manual)”, published in 1890 by Ogura Shoten. 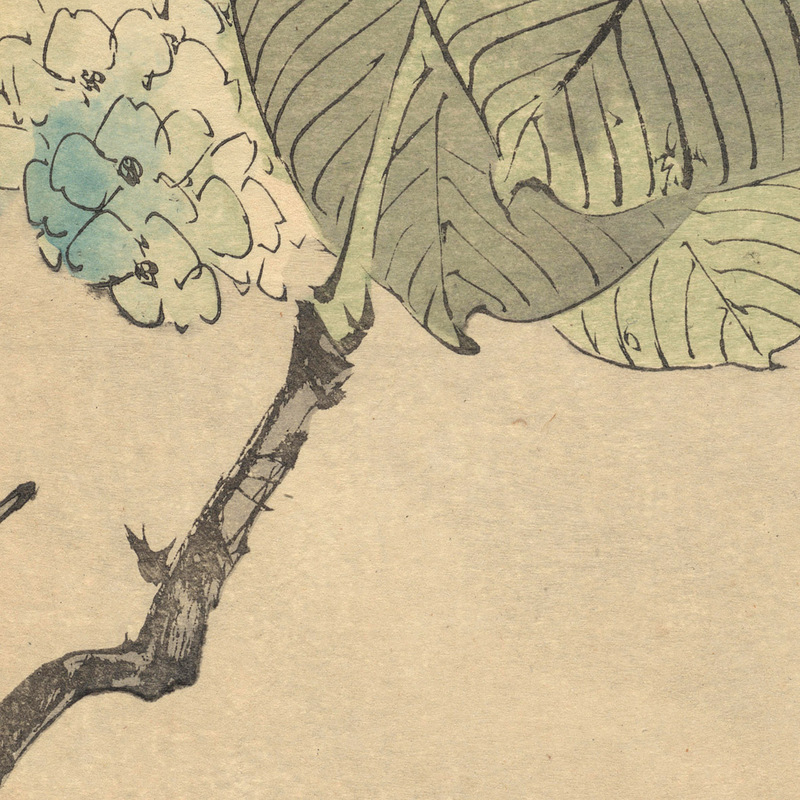 Two separate colour woodblock panels glued together as a single image (i.e. 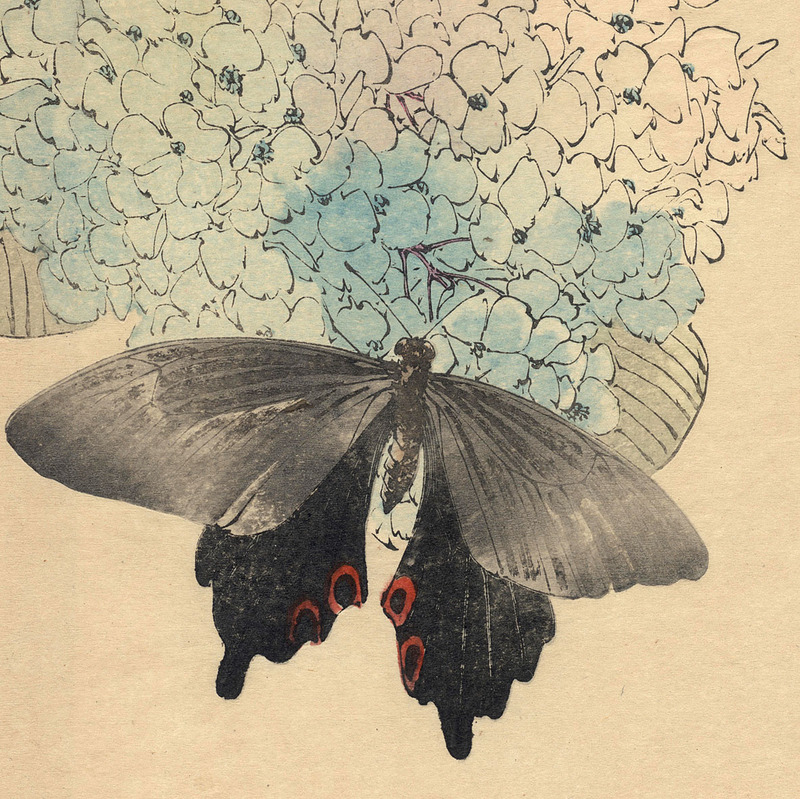 two prints joined as a single sheet), 24.8 x 31 cm. 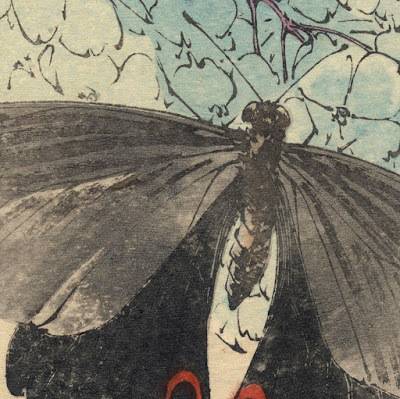 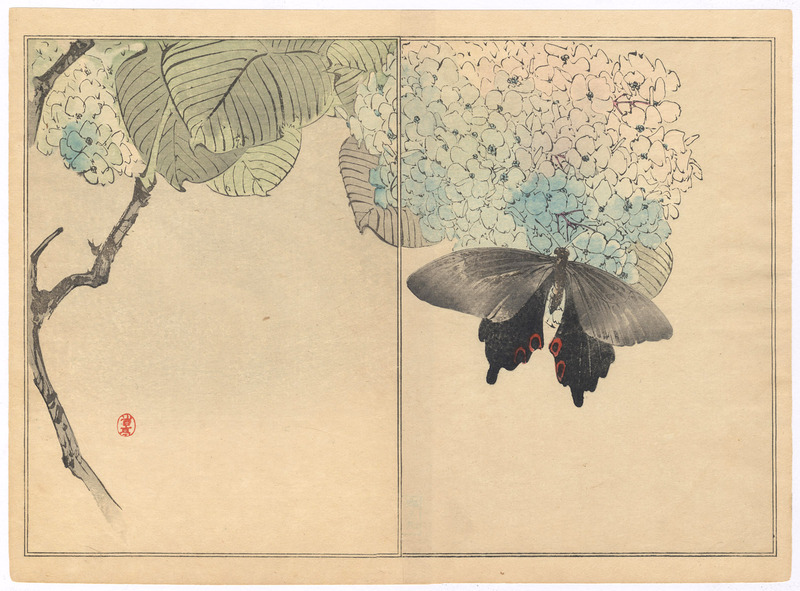 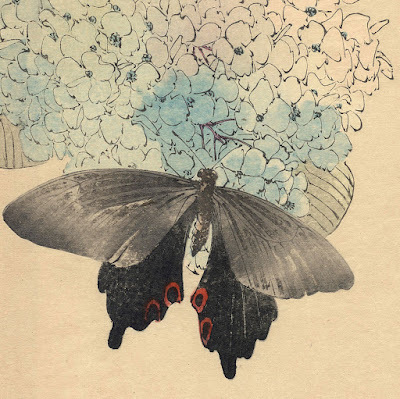 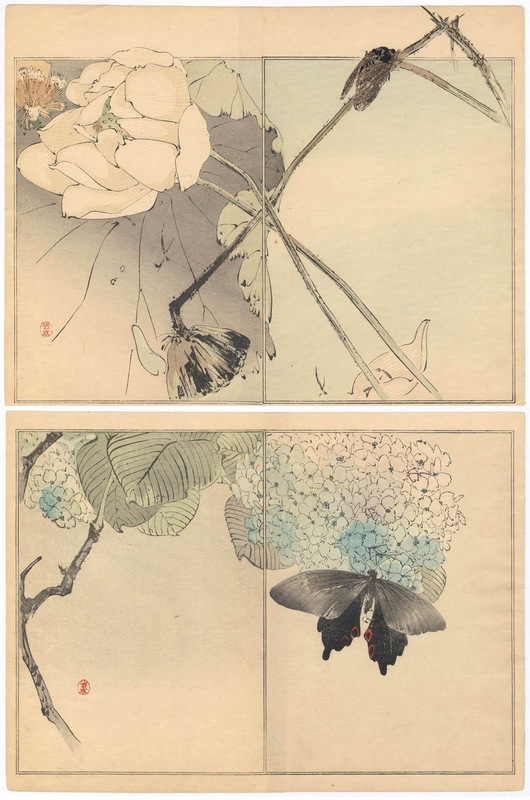 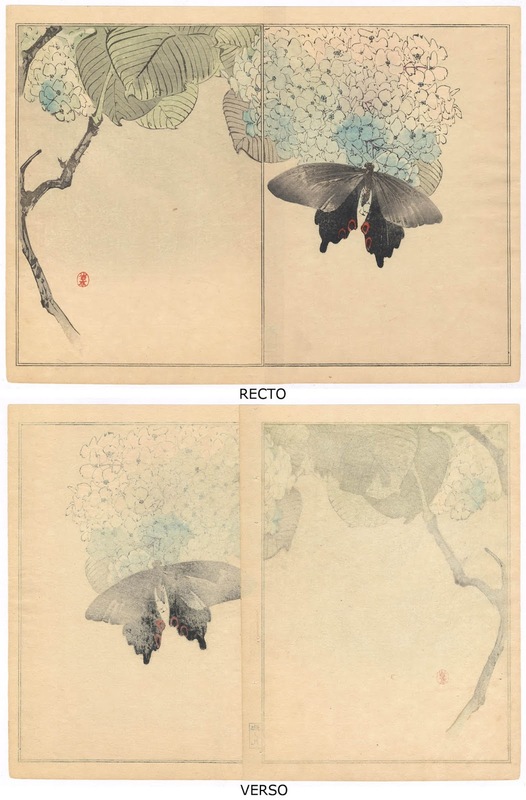 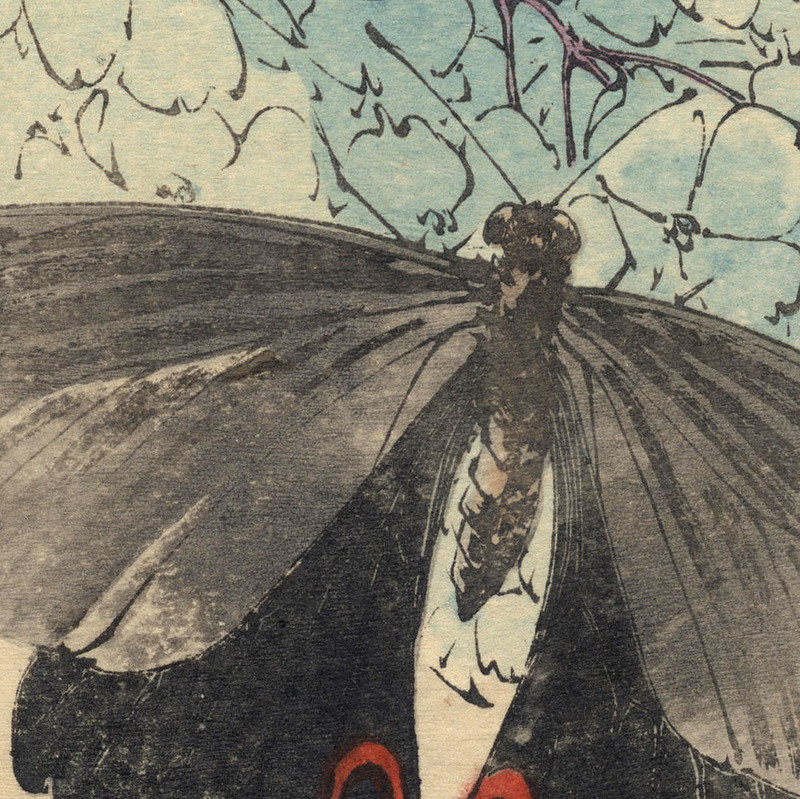 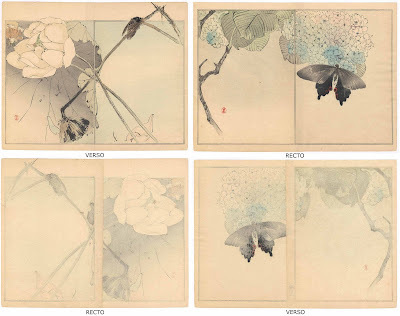 (lower image) “Butterfly on Hydrangea,” 1890, from the series of 86 woodblock prints, “Seitei kacho gafu 省亭花鳥画譜 (Seitei's Bird-and-Flower Painting Manual)”, volume 2, published in 1890 by Ogura Shoten. 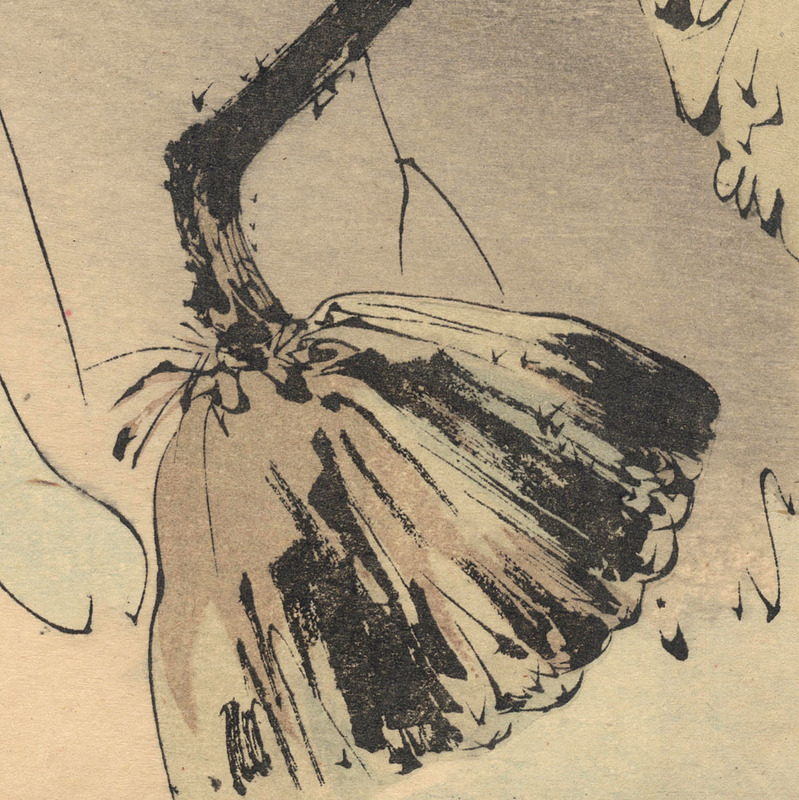 Two separate colour woodblock panels glued together as a single image (i.e. two prints joined as a single sheet), 22.9 x 31.1 cm.